Those Libby’s Juices and Juice Drinks that you grew up on are still delightfully available at your local grocery store. Thank you for visiting Libby's Juices. 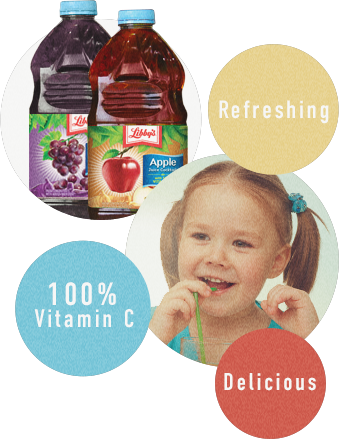 Learn about Libby's, take a look at our many delicious flavors and their nutrition facts.